If you're wondering how to start an email list for your blog, I've got one word for you: ConvertKit. If you're not in the know, ConvertKit is an email system for bloggers. That last part is important. They advertise that the system was built by bloggers for bloggers. So you're probably like yeah, ok. But honestly, you can just tell from the product that it's true. It's so incredibly functional for my needs. It has every feature I want, and no crazy extra features. I'm pretty sure I use every feature available on there. Which isn't actually that many. Because it only has what you actually need, not 12 other bells and whistles that don't really help anything. Thumbs up for that. 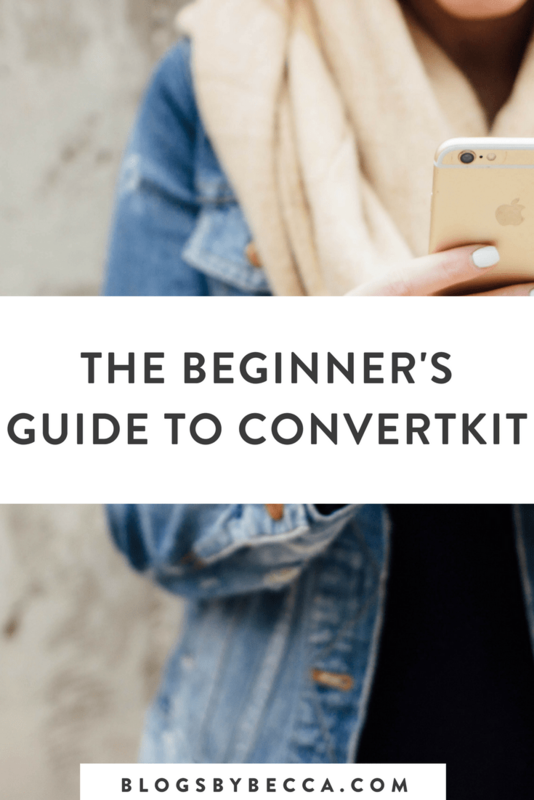 This is the beginner's guide to ConvertKit…it's not hard, but these tips will help! Here are the actual reasons why ConvertKit has converted me. 1| ConvertKit allows you to tag subscribers. ConvertKit allows you to tag each subscriber with one or more “tags.” So they can be “New subscribers,” “Interested in Pinterest,” “Social media lovers,” etc, etc. This is extremely useful in deciding who gets what email. The “Interested in Pinterest” people should get every article you write on Pinterest, and your Pinterest course, and your Pinterest challenge. And your “New Subscribers” should get your welcome sequence. And so on. You can tag people based on how they signed up for your list, based on what they've purchased from you, based on actions they've taken, or based on links you've clicked. You can put a link in an email and say “everyone who clicks this link to my Pinterest webinar will be tagged as ‘Interested in Pinterest. '” It's a fantastic tool. ConvertKit's tagging system allows you to segment your list in a million different ways. Just think about what you can do with information like “this person was interested in a webinar about Instagram”…I sure bet they'll be interested in my new webinar about Instagram too! This kind of personalization is something that you don't get in a lot of other email providers. Two | ConvertKit allows you to automate everything. ConvertKit has great automation tools. You can tell it that whenever someone signs up to a particular form, they get tagged as “Interested in Pinterest.” Or, if they click a link to an article about Instagram, they're subscribed to your segment of emails on using Instagram for blog growth. It's all automatic, so you don't have to sit there putting people on different lists. You just set up these “rules” once, and the rest is all automated. It's awesome. 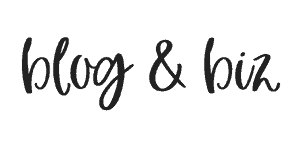 So, for example, everyone who signs up for my Blog Tools Guide that you'll see offered throughout this article will automatically get an email with a link to instantly download that Guide. Then, they'll automatically go through a series of a few welcome emails that I like to send all my subscribers. All without me doing a thing. Three | ConvertKit has easy to use opt-in forms. And you also use them to integrate with services like Leadpages. You can send your Leadpage subscribers through a particular form, so the automation rules on that form will apply to those subscribers. ConvertKit forms integrate with pretty much all of the major services like Leadpages, so you'll have no problem hooking things up. Four | ConvertKit sequences make automated emails easy. ConvertKit makes it very easy to set up “sequences,” meaning a series of emails that go to a particular set of subscribers. Just write your emails, tell it which subscribers it should go (for instance, all subscribers tagged “New subscriber”), and off it goes. It also gives you stats on your open rate, your click rate, and your unsubscribe rate, which is helpful to know. This ties nicely into the Automations feature. I can set up a “rule” that everyone who signs up for a new download on my site gets sent into my “Welcome Sequence.” I set it up once, and then it goes on automatically every single time someone signs up. Five | ConvertKit broadcasts make individual emails easy. Of course, if you just want to send a one-off email, you can do that too. Just write the email and schedule it for whenever you want. No muss, no fuss. The good thing about ConvertKit emails is that they are very simple. They do not have the big drag and drop builder the way some services likes MailChimp and AWeber do. You may like those pretty emails, but the truth is, they are more likely to go to spam. It's better to send a nice clean email that looks like it's from a real person. Of course, if you want to snazz up your ConvertKit emails, you can do it, you just need to now a little code. There are quite a few people out there who sell plug-and-play ConvertKit email templates, so if fancy email is your thing, you're still all set. So, that, my friends, is why I have been converted to ConvertKit. I highly, highly recommend checking it out. Even if you don't have a big list yet, it's going to be so much easier in the future if you started out things like tagging now. Two thumbs up on ConvertKit. Keep up the good work! You realize, lots of individuals are hunting around for this info, you can help them greatly. looking for. Would you offer gueѕt writers to write content for yourself? write іn relation to here. Αgain, awesome web log! The tagging feature was what sold me for ConvertKit! Great post! Yes, I love the tagging feature! So helpful! working out more. Thanks for excellent info I was searching for this info for my mission.